A complete guide for those making funeral arrangements with or without a funeral director. 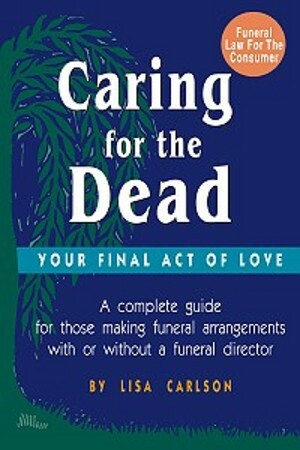 Families, friends, and support groups who want to say goodbye in a meaningful way—not just write a big check to a funeral director—will find detailed and practical legal information in this unique guide. By taking an active role in funeral and memorial arrangements, families can save thousands of dollars while better serving the emotional needs of loved ones. Caring for The Dead gives the legal requirements of each state, how to obtain and file permits and death certificates, explanations of cremation and embalming, burial procedures, and other necessary information. Readers learn how to shop for the best services at the most reasonable prices, while avoiding fraudulent and deceptive mortuary practices. This landmark book helps readers take control of one of life's most intimate experiences—the final act of love for a friend or relative.